The sealer agitation system is designed to mix the material in the tank and keep the properties of the sealer suspended and well distributed. These properties include raw sealer, water, sand and additives. WIthout the agitation system the sand especially would fall to the bottom. 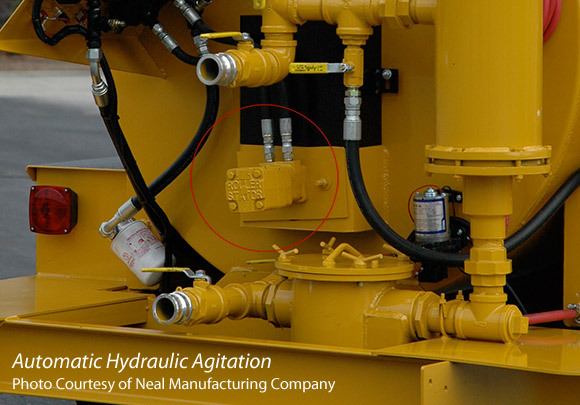 Manufacturer’s boast the differences of their agitation systems and there are several types. 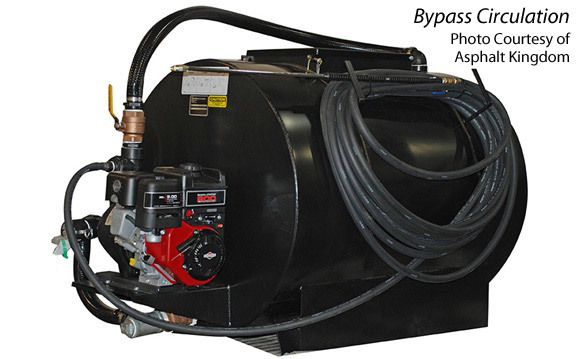 Bypass Circulation - This type of circulation pulls sealer from the bottom using a bypass pump and places it back into the tank at the top. These systems are excellent for the beginning pavement contractor sealing driveways and small lots requiring only light or no sand in the mix. Bypass circulation units do not use strainer baskets and you must keep the pump going at all times to achieve an acceptable mix. Bypass circulation units should not be counted on as a solution for “high volume” commercial sealcoating. 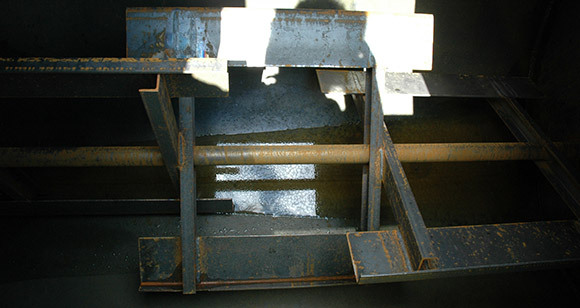 Manual (Hand) Agitation - Consists of 2 to 4 paddles located inside the machine for mixing. These are welded to a horizontal shaft that is turned by hand using a manually operated crank. 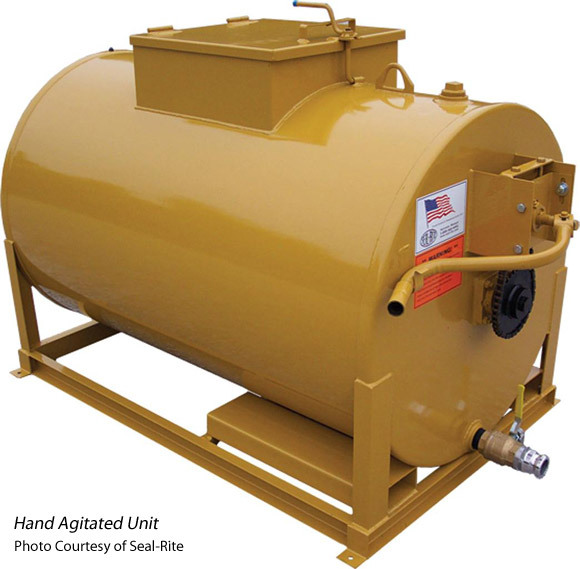 The paddles inside the tank make this system more effective in keeping a consistent sealer mix throughout any given job. The down side is an obvious one. You have to use valuable resources that cost time and money (your crew) to make the agitation work. This would only be recommended if you have strict budget limitations. • Size of the drive shaft and bearings. • Access, size and safety features of the manway. When comparing agitation systems be sure the materials used will hold up to the strain of the agitation process. Remember, the paddles are constantly pushing its way through the material and must be “heavy duty” from top to bottom to last for many years to come. Most machines, and most reputable long standing manufactures, discovered the right combination of materials and componentry long ago. REMEMBER, Absolutely do not buy a sealcoating machine without some sort of agitation system and always use sand in your mix for liability and safety purposes.